The shiny purple wall of the Experience Music Project (EMP) museum in Seattle, next door to the Space Needle, offers so much potential for cool photos. 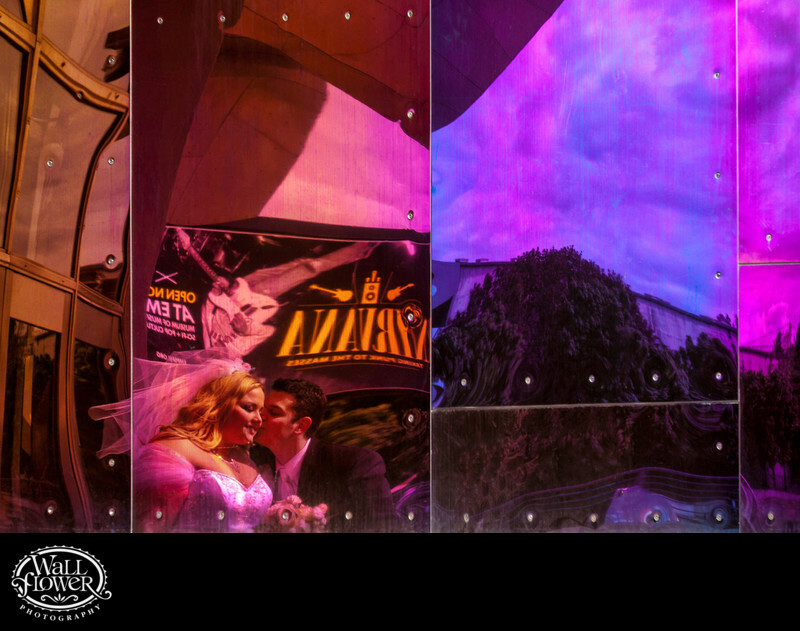 This one is a detail of the distorted reflection of the groom kissing his bride's cheek while standing near a billboard advertising the Nirvana exhibit at the museum. It was shot at an angle and the perspective has been digitally collected to straighten out the grid of bolts and seams between the metal panels.